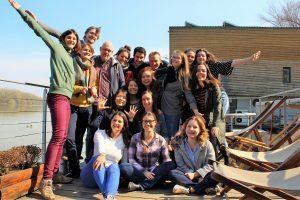 In March 2019, oikos LEAP Advanced Participants met in Belgrade, Serbia. 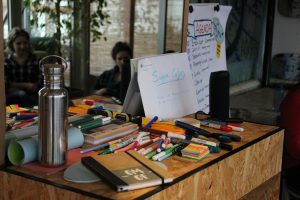 In this pesonal blog story Maike and Hannah, two of the meeting participants recount their brief LEAP journey. In March 2019 seventeen oikos LEAPers from all over the world set sails to continue their journey of self-development and leadership training. The unique setting on a picturesque houseboat on the Danube river in Belgrade entailed not only a floating conference room but also a comfy fireplace and individually decorated dorm rooms which fostered our creativity and helped us discover more about our personalities. Cooking dinner for each other in the evenings did not only serve as a teambuilding activity but also, as a matter of fact, sustained us. 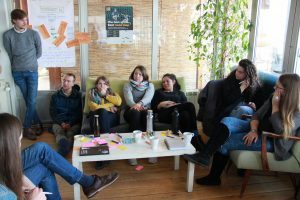 In many workshops, reflections and discussions during our three days of LEAP we found our own definition of leadership, learned how to manage our time and commitments better and what non-violent communication really means. On our journey, we also discovered paths which focused more on our personality. In these, we reflected about past and present beliefs, emotions and even approached the holistic topic of our own personal life purpose. Thereby, we also learned how to provide feedforward to our peers – which means giving advice on how to act in the future instead of merely talking about how past actions should have been. 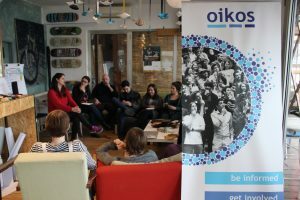 By understanding the bigger picture and interconnectedness of the various facets of our personalities and the world around us, we then elaborated the oikos purpose from our point of view. Metaphorically spoken, we found the oikos chapters to be boats sailing on the sustainability wave guided by our lighthouse, oikos International. This amazing experience would have never been possible without the passionate coaches. They did not only transfer knowledge and supported the immediate application of the concepts but also created a comfortable and safe atmosphere. Once again, the LEAP meeting showed us that we are only capable of leading others once we can lead ourselves. Fortunately, the journey did not stop in Belgrade but continues for all of us, encouraging us to spread out to inspire and motivate young people. LEAP truly is the empowerment of young change agents to become sustainable leaders of the future and the midterm meeting brought each of us forward on our personal journey.